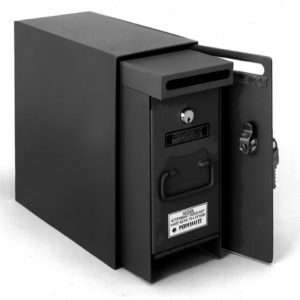 This Large Classic Style Perma-Vault Dual Key Access Drop Box is made in the USA. Four 3/8” mounting holes located on bottom and back. PRO-800-M Medeco high security lock with two (2) keys. Top chute. 11-1/2″ x 10″x 8″ 19 lbs. PRO-850-M Medeco high security lock with two (2) keys. Top chute. 14-1/2″ x 10″x 8″ 21 lbs. 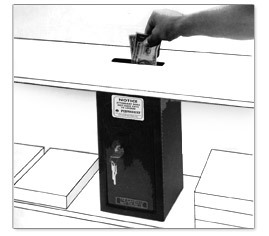 Perma-Vault can be placed in a convenient location wherever cash, checks, or receipts are handled. 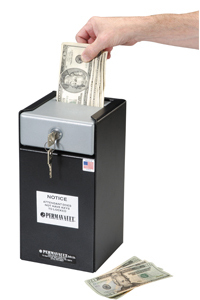 The instant you deposit cash, checks and receipts through the convenient cash slot, Perma-Vault is on guard, helping to protect you against robbery and employee theft. Keys removable only in locked position. 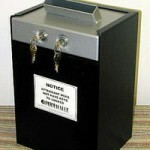 Custom key control systems designed to your specifications: master keyed, keyed alike, or keyed different. 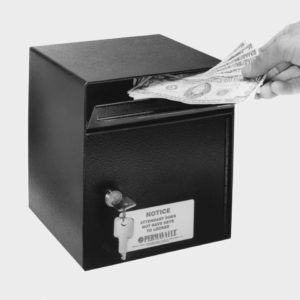 *Additional lock options upon request.